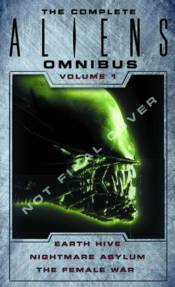 This three-book story arc takes place after Alien3 and chronicles the Xenomorph invasion of Earth. After the planet is ravaged, Ellen Ripley is determined to destroy the Xenomorphs once and for all. She teams up with Wilks, a hardened marine, and Billie, the only survivor of an infestation on the colony Rim, along with a group of marines on a desperate, unofficial mission to the aliens' home world. There they hope to capture a Queen Mother and use her to quash the outbreak that has all but destroyed Earth. Collects the 'Earth Hive', 'Nightmare Asylum', and 'The Female War' original novels.